BIG REUSE reopens in old Pathmark spot by Lowes in Gowanus – two blocks from old spot – open 7 days a week (1 12th Street, Brooklyn). To celebrate the reopening (and a new 10 year lease) they are having a party this Saturday, February 2nd from 4:00-8:00 P.M. There will be Hungry March Band, Pumpkin’s Soul Food, Raffles, Big Reuse Bag giveaways and Dj Bobby Johnston! You can officially drop off your #FoodScraps at the New #BigReuse warehouse just across the street from the old (by the Lowe’s store). Come on by and #DropOff and shop sustainably! PETLAND DISCOUNTS is shutting down following the death of its owner. The chain started in 1965 by Queens born Neil Padron. He died earlier this year, aged 74. Petland Discounts has 69 locations in New York and all of them are expected to close by April 18, leaving 367 people unemployed. Reasons cited to the sate are “economic”. WALGREENS, at the corner of Voorhies and Ocean Avenue, closed on January 28th. If you depended on them for prescriptions, those records are available at the Walgreens at 713 Brighton Beach Avenue, and you can fill prescriptions at any other Duane Reade or Walgreens store. 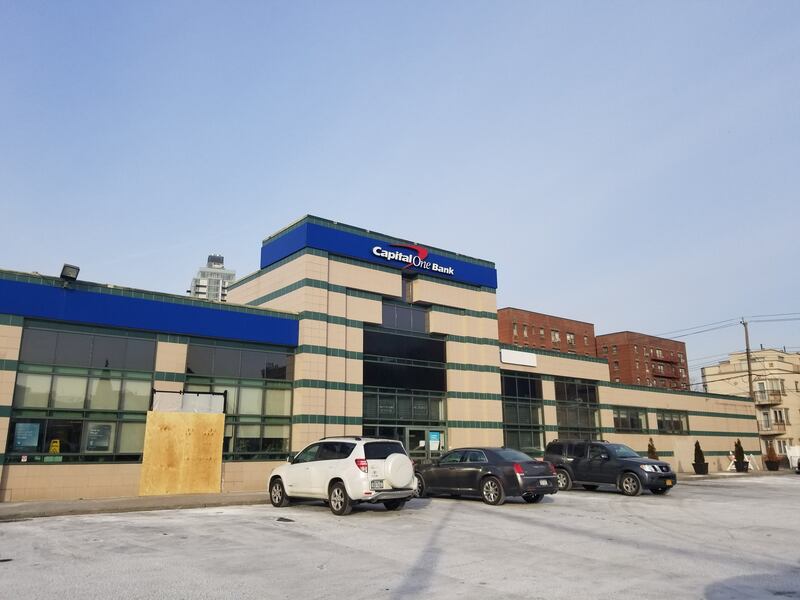 We have so far not been able to confirm what is taking over the large space next to Capital One Bank and NetCostMarket. To be clear, it wasn’t a Walgreens pharmacy. It was a DuaneReade, which is owned by Walgreens.